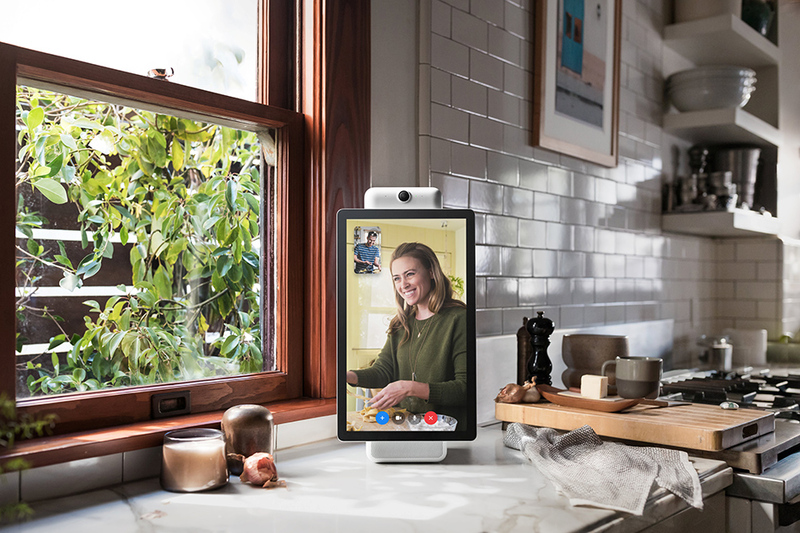 The Facebook Portal and Portal+ devices are primarily video calling, smart screens for the home. 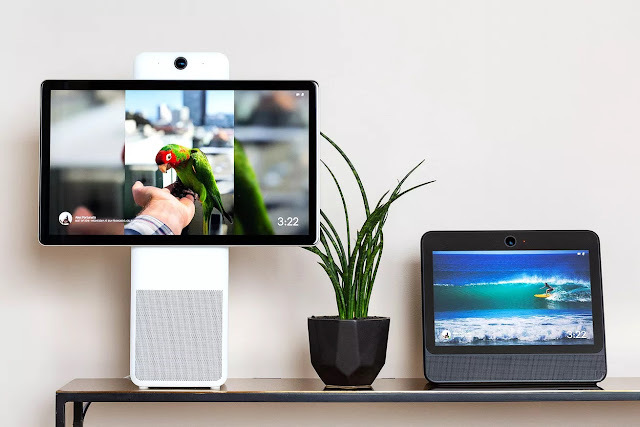 They offer Facebook and Messenger on their touchscreens to connect loved ones and friends over the internet - displaying live video or profile pages simply and hands-free. You can also access your Spotify Premium account through the new devices. And Pandora, iHeart Radio and other streaming services can be played through the built-in speakers. Both devices have their own voice recognition support plus Alexa compatibility. Smart Home Facebook Portal Hands is the closest in style to the Echo Show, with a 10.1-inch 720p screen. It has a 12-megapixel front-facing camera with 140-degree field of view. The Portal+ is a larger device, with a 15.6-inch 1080p display that can be swiveled to a portrait position, as well as landscape. 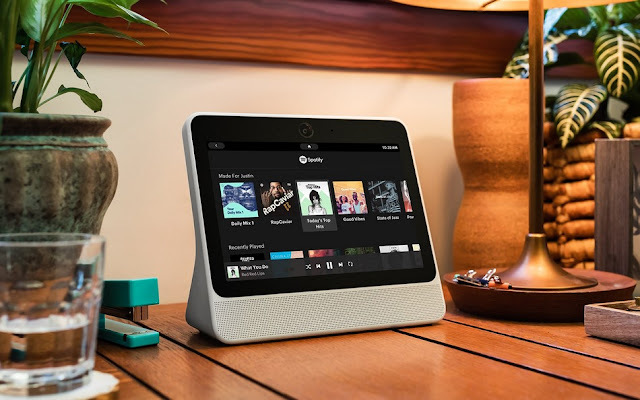 It too has a 12-megapixel front-facing camera and four mic array, although its speaker output is 20W, provided by two tweeters and a single 4-inch bass unit.